OAKLAND, Calif. -- The defending champion Golden State Warriors set the record for best start in NBA history at 16-0, as Stephen Curry had 24 points and nine assists in a 111-77 rout of the lowly Los Angeles Lakers Tuesday night. With their coach sidelined, the Warriors surpassed the 15-0 starts by the Washington Capitols of 1948-49 and 1993-94 Houston Rockets. Confetti streamed down when the final buzzer sounded, though Golden State's players barely celebrated. "This was a typical Warriors blowout," writes CBSSports.com's James Herbert. "They outscored Los Angeles 30-11 in the first quarter and ended the third up 89-55. No Golden State starter even saw the floor in the final frame. Stephen Curry scored a game-high 24 points on 10-for-21 shooting, including 4 for 12 from 3-point range, which is an off night for him. 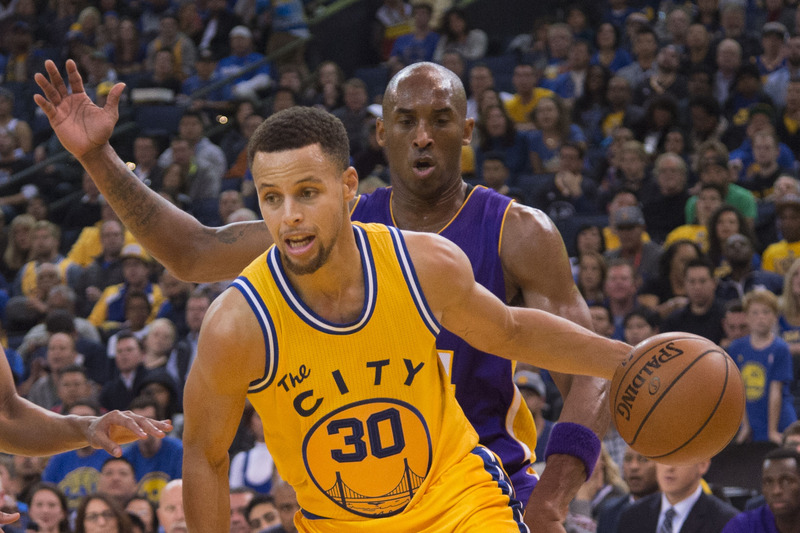 Curry added nine assists, four rebounds and two steals." The Warriors extended their franchise-record home winning streak to 27 games with coach Steve Kerr watching from behind the scenes while recovering from complications following two back surgeries. Interim Luke Walton is leading the way, and it might have been a little sweeter to set the record against the Lakers franchise he helped win two titles. Golden State became the sixth team in NBA history to win 20 consecutive regular-season games, a streak dating to last season. The Suns have the next shot at stopping this incredible start when the Warriors visit Phoenix Friday night. Curry only had to play 30 minutes, taking a seat for good with 6.5 seconds remaining in the third to huge cheers from a sellout crowd of 19,596 that was really closer to 20,000 with all the standing-room only tickets sold. After the game, Curry said in his television interview that it was "special" to be in the history books. "We're trying to play at a high level every night," he said on TNT. "It's a pretty cool accomplishment to start the season 16-0 and do something that's never been done in NBA history. So we gotta keep it going. A lot of season left, but we're on the right track. "A lot of players have played in this league, a lot of great teams," he continued. "And nobody has accomplished what this team has tonight. So we gotta be proud of those type of moments, and we'll celebrate a little bit and then look forward to Friday night." The Lakers' Kobe Bryant shot 1 of 14 for just four points, matching the worst-shooting performance of his career in a game where he had at least one basket. The Lakers dropped to 2-12, the second-worst record in the NBA. Bryant went 1 for 7 from 3-point range in 25 minutes as Los Angeles lost its fourth in a row and eighth in nine. He also finished 1 for 14 last season against San Antonio, according to STATS.